Brad Pitt, who recently starred in the movie "Killing Them Softly" donated $1,100 to a hospital in the UK. 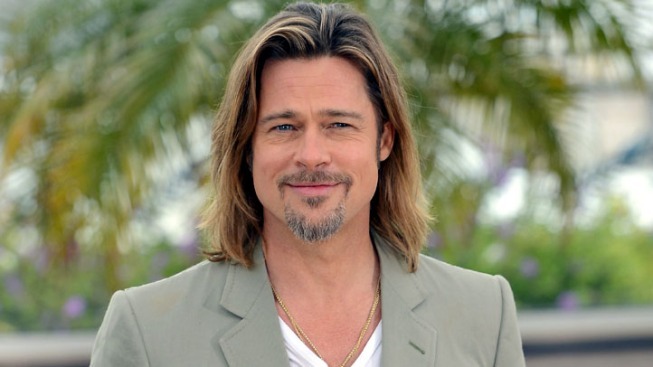 Killing Them Softly star Brad Pitt continues to kill folks with kindness. The always-generous actor, who was filming his upcoming film World War Z in London on Thanksgiving, donated $1,100 to Southhampton Hospital's neonatal unit in Dorset, England. According to the BBC, Pitt made the on-the-spot donation when Tricia Wilson-Hughes, a fundraiser who was collecting money from the movie's film crew on behalf of the medical facility, approached Pitt's security guard to see if Angelina Jolie's other half might be willing to pitch in a few bucks. The guard then proceeded to make his way over to Pitt and returned minutes later with the money. "I couldn't believe it, I was completely dumbstruck," Hughes told the BBC. "He said if he had more he would have given it. I said honestly that is more than enough, but if he wants to do anything in the future that is absolutely fine...I am in awe of him." You took the words right out of our mouths, Ms. Hughes.